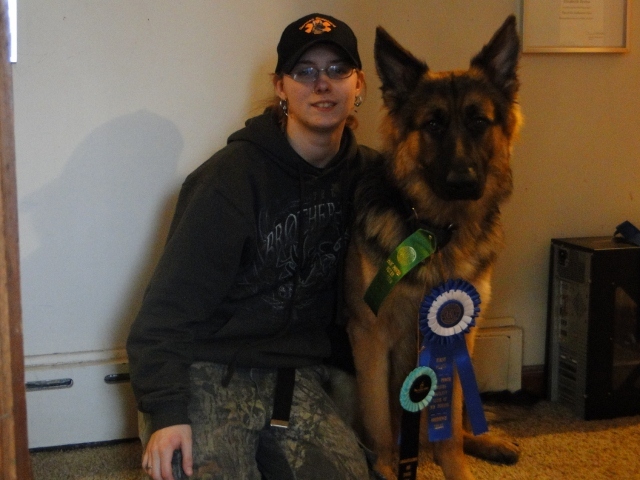 On January 29, 2011 at the Paw Power Blues Dog Club in Lowell, Indiana Gatlin and Liz finished off their 3rd leg for his CD title with a score of 191.5 at 10 months old. He received first place at this show, along with a first and third place on his previous legs. This was the first CD Liz has achieved on a dog. They are working towards getting their BH next in June. Great job Gatlin. Oh and you too Liz.